Barcelona, February 10, 2017. 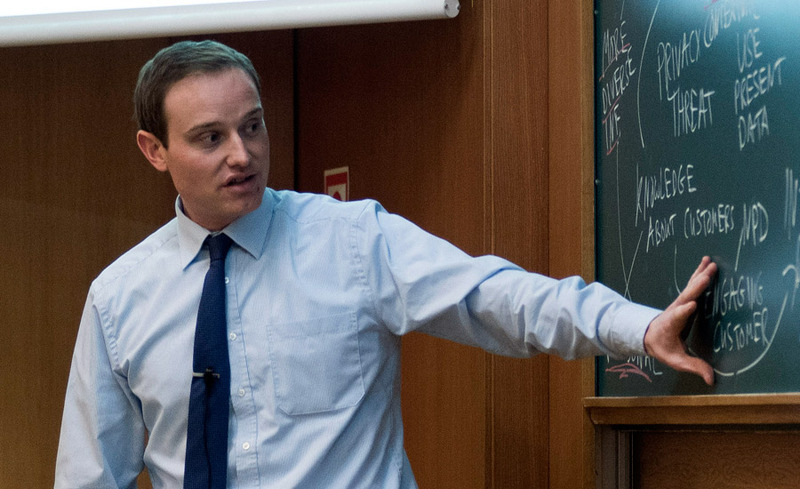 – Robert W. Gregory, Assistant Professor in IESE’s Information Systems Department, has won the prestigious Association for Information Systems (AIS)Early Career Award for his promising work examining novel IT phenomena. Spanning topics from digital transformation to human-machine symbiosis, his research was honored – in Dublin – at the December 2016 International Conference on Information Systems (ICIS) in a special session recognizing “the best and brightest” in the field. AIS aims to serve society “through the advancement of knowledge and the promotion of excellence in the practice and study of information systems.” Each year, senior AIS scholars recognize individuals who, although still in the early stages of their careers, have already made outstanding contributions to the field of information systems. Professor Gregory joined IESE in September 2013. Currently, his principal area of interest is digital transformation, which encompasses topics such as digital business strategy, digital innovation, the “consumerization” of IT, organizational ambidexterity, managing strategic paradoxes, competing institutional logics, and designing organizations and systems for human-machine symbiosis. Financial services, automotive, and healthcare are industries of particular interest to him.